Not sure of the iPod model, or what color they would prefer? Get them an iStore Gift Certificate. 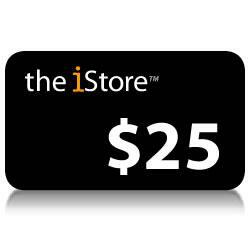 The iStore Gift Cards are the perfect gift for anyone with an iPod or an iPhone. They never expire and can be used to buy any items in our store.